I am such a blessed person. I have had so many amazing opportunities over the last few years and I just want to take a moment to say how lucky and grateful I am. I have a partner who supports my dreams and ambitions. I have good friends who are talented and give me wine, advice and company. My family is wonderful and encouraging. And I’ve been able to see parts of the world that most people will never see. 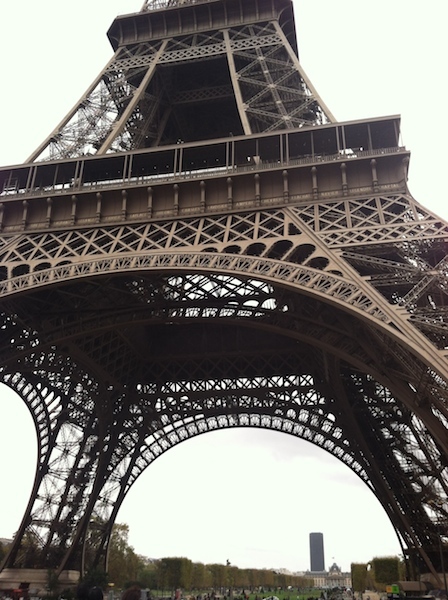 Last week I was in Paris with my boyfriend. He was sent for work and I got to tag along. I spent a week viewing some of the most famous works of art in the world, eating my weight in baguettes, visiting fabulous restaurants, and making new friends. It was a lovely trip. I only wish that the whole work thing didn’t take up so much of his time. But, Paris! And for one more moment of gratitude before I continue. I wouldn’t be writing this blog without the emotional and technical support of my sweetie. He has encourage this project all along. He has helped me travel the world and learn about myself. All that and he dances well too. I’m a lucky lady. Ok. Back to Paris. For the most part, the weather was cold and sunny. There was some rain, but it was hard to notice or care. Paris is a beautiful city no matter what the weather. And hey, rainy days are what museums are for. Someone asked me if I came back with any new recipes. The answer is no, but I came back wanting to explore new recipes. And, I tried a number of new things. I had never had much experience with foie gras, and I had it multiple times during my stay. It isn’t my new favorite thing, but it was an interesting experience. 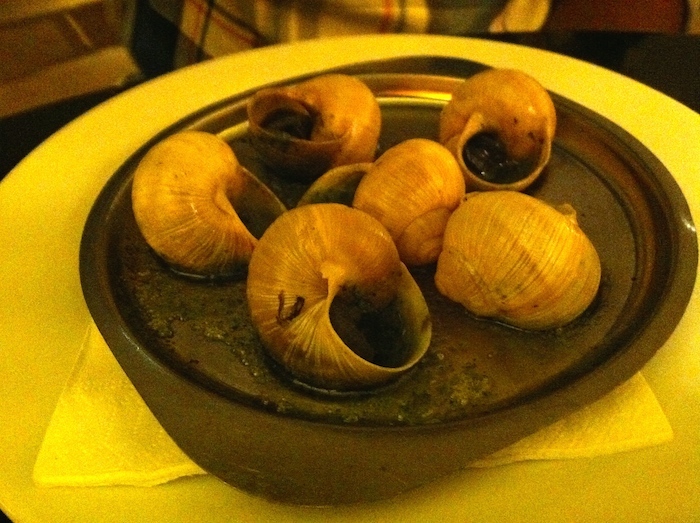 However, apparently I love escargot! Who knew? I had it the first time we went out to dinner and two more times after that. Turns out, snails cooked in butter and herbs are awesome. I can add that to the list of things my mother will never believe I’d say. So, I just want to share a few photos of my trip. I hope your mouth waters and your imagination soars. 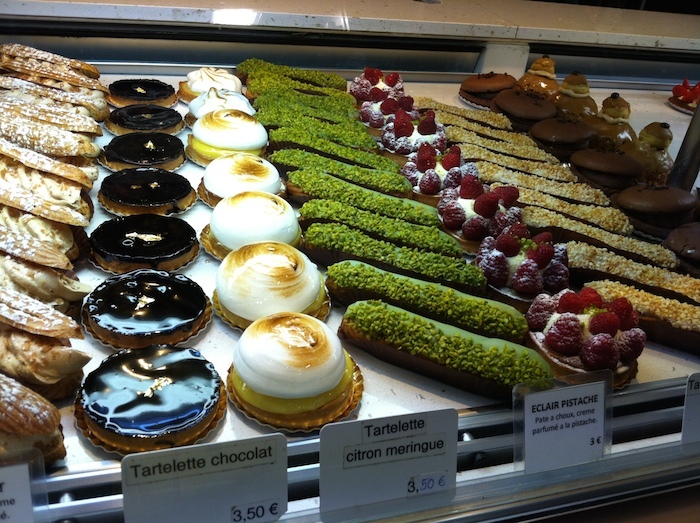 One of the million beautiful pastry displays I saw. 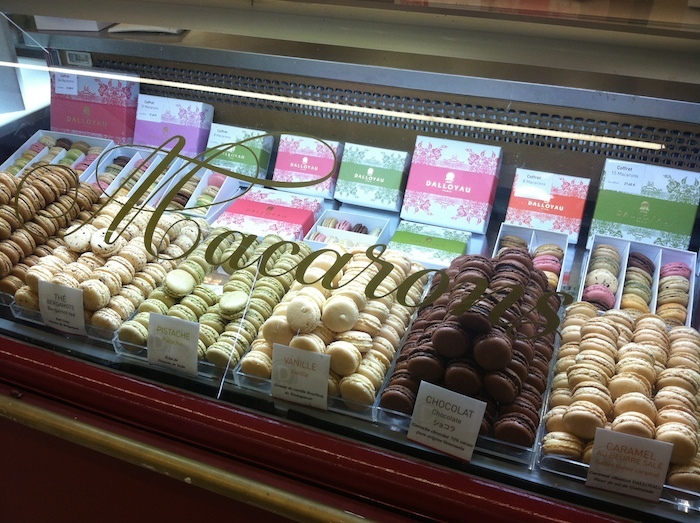 And the Macaroons. Everywhere. 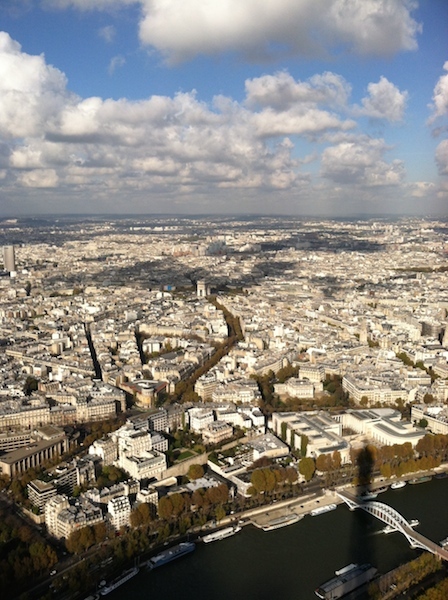 The view of Paris from the top of the Eiffel tower. Once, the tallest structure in the world. This is one of my favorite pieces of art I saw. 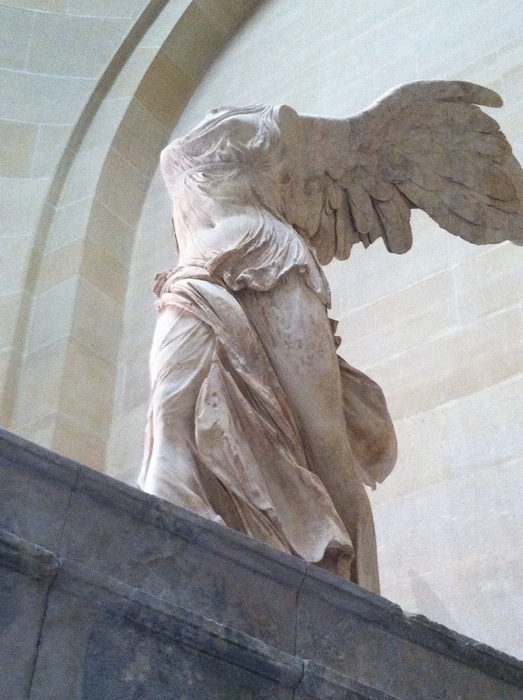 The famed “Winged Victory of Samothrace” in the Louvre. So stunning. And so amazing that something this old has survived so long for us to appreciate. It was carved sometime around 200 BC and wasn’t discovered until the mid 1800s. Can you believe something like this was just sitting outside for 2,000 years? I am awed that it survived so long for us to appreciate today. 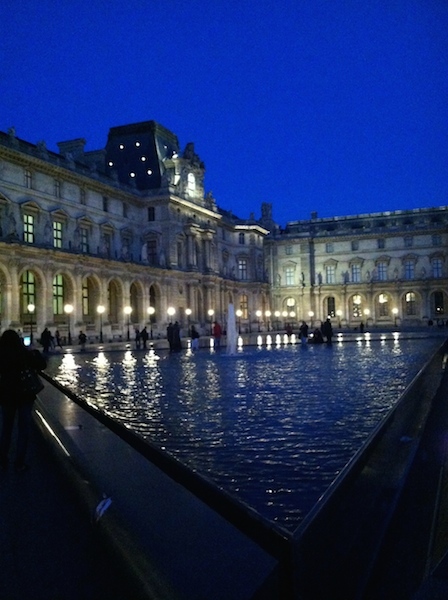 The Louvre at night. 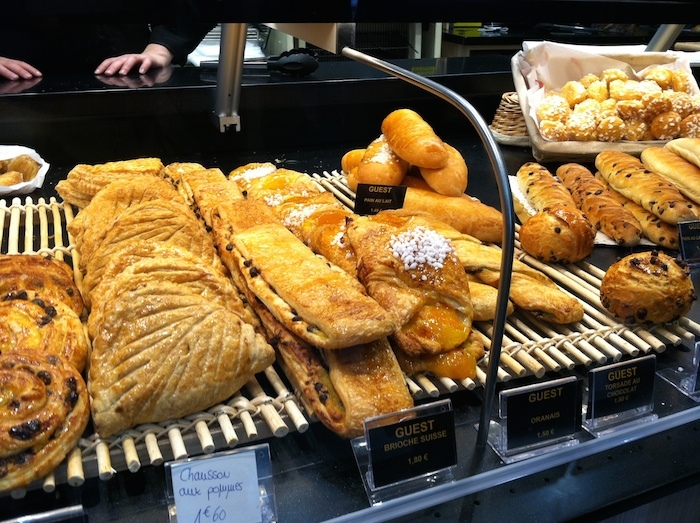 More beautiful pastries. Don’t you just want to stuff these all in your face? 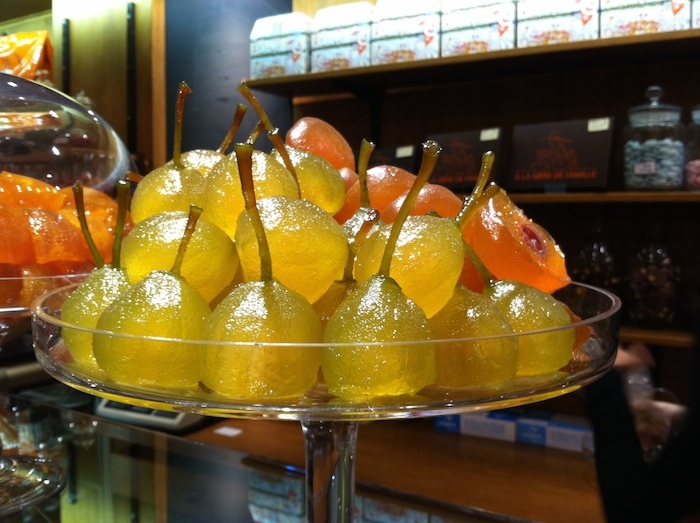 These were some beautiful gelled fruits I saw in a candy store. I had never seen fruit preserved this way. They were beautiful, but very, very sweet. Escargot! They were served often in the shell, filled with butter and herbs. We were given little tongs to hold the shells and tiny forks to pull them out and eat them. Weird, wild and wonderful. Travel helps us to learn who we are and who we can be. 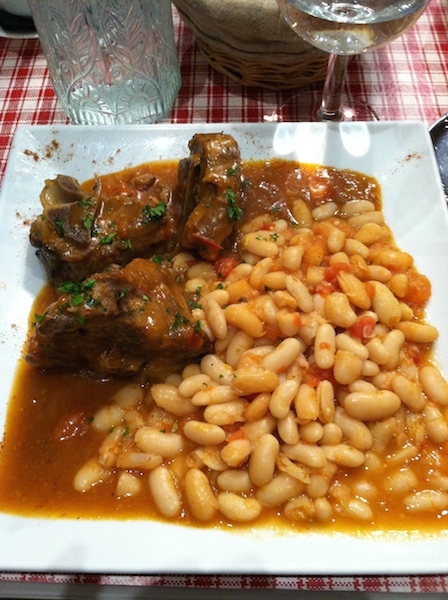 Take any opportunity you can to visit somewhere new and eat something new. You never know what might change your life. whoah this weblog is fantastic i like reading your articles. Stay up the good paintings! You already know, a lot of individuals are searching around for this information, you could help them greatly. Nice post. I was checking continuously this blog and I’m impressed! Very helpful info specifically the last part 🙂 I care for such info much. I was looking for this particular info for a very long time. Thank you and best of luck. I¡¦m not positive the place you’re getting your info, however great topic. I needs to spend a while studying more or figuring out more. Thank you for excellent info I used to be looking for this information for my mission. Hi there, I discovered your site via Google at the same time as searching for a related matter, your site got here up, it appears to be like good. I have bookmarked it in my google bookmarks.